Nations Press feature news This Man is Being Paid by Family of an Under-aged Girl to make Love! Reason is Horrifying! This Man is Being Paid by Family of an Under-aged Girl to make Love! Reason is Horrifying! SPONSORED LINKS Even though we are now in a modern world,certain Countries like Africa still believe in their Tradition. One of their tradition is when their child reach the puberty age they will paid some one to make love with their child. The African people believe that this act is a cleansing ritual that should be done in a right time, because if not, the villagers and the woman will have a disease and a lifetime misfortune. 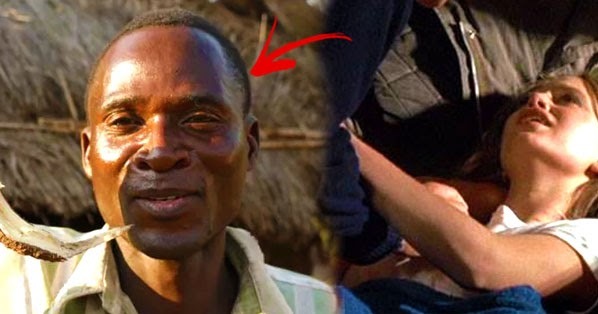 Those guy being paid to make love are called "hyenas"and one of the Professional hyenas is a man named Eric Aniva who is being paid to perform the rituals. The woman needs to do this under the observed right time and that is having their first menstruation, getting abortion and if the man dies. Aniva claim that he slept with almost 104 woman and do not know how many woman got impregnated.Some are at the age of 12 to 13, but he prefer the older. Woman find pleasure of having him as he said. He need to do it for the sake of his parents because he is afraid they might got diseases and be misfortune!